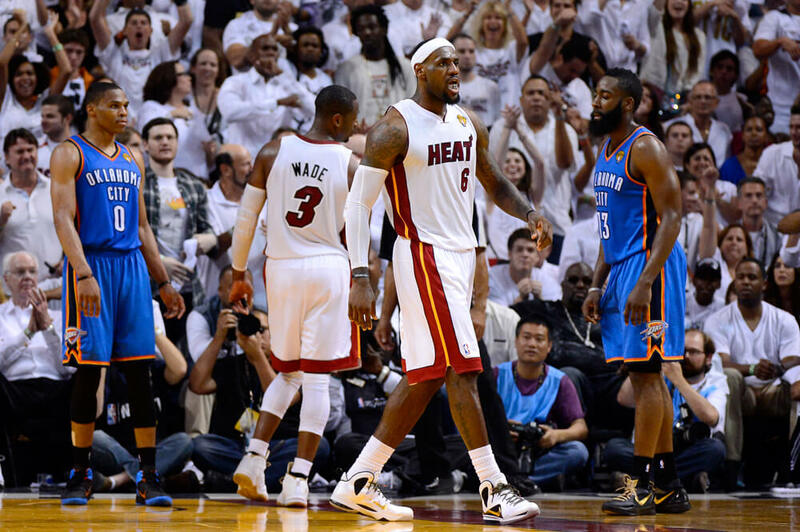 These Are The Hottest NBA Finals Matchups Of All Time! 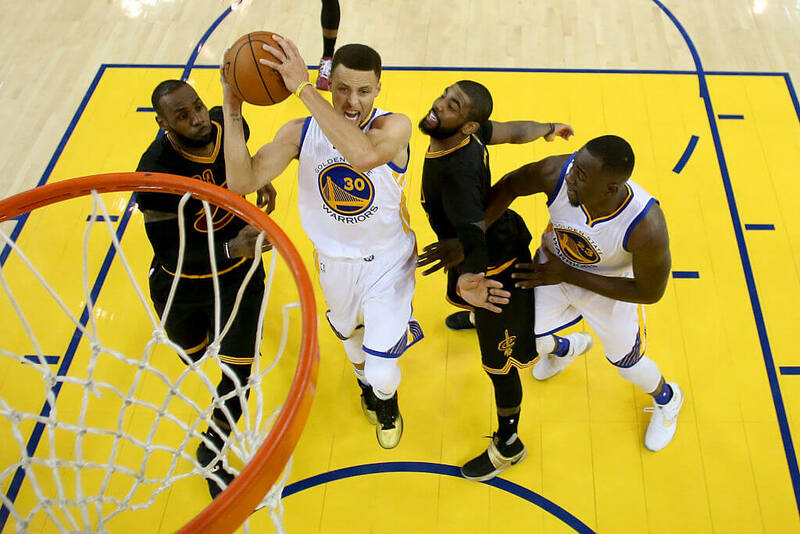 The NBA Finals are some of the most competitive games the sporting world has to offer. Finals are a culmination of hard work by the league’s very best players. This is when dreams are made and broken because every player’s primary goal is to secure an NBA Championship. Since 1947, the NBA has crowned a champ, and every year brings memorable events. Who could forget the Cavaliers coming back to win it all from trailing 1-3 in 2016? Or in 1992 when Michael Jordan and Clyde Drexler showed us who the best shooting guard was? Let’s travel through history as we review the greatest NBA Finals matchups of all time. The Washington Bullets had a 95.3% chance of winning this series against the Golden State Warriors, according to ESPN. The Warriors had 12 fewer victories than the Bullets, but that didn’t phase them. They swept the Bullets en route to the biggest upset in Finals history at the time. 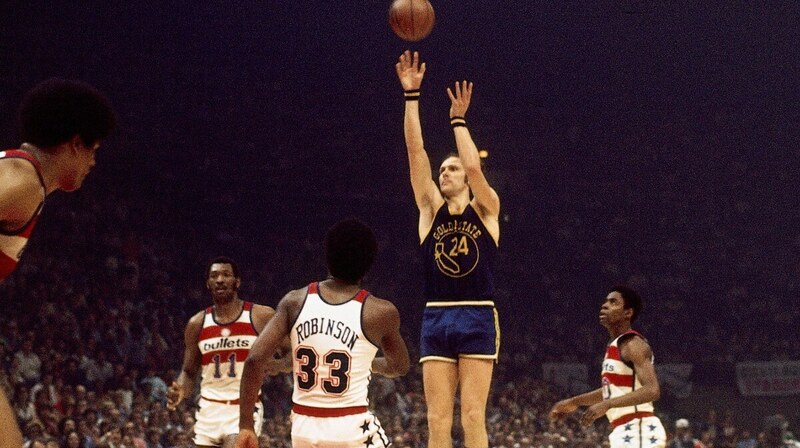 Former Warrior Rick Barry said, “It was like a fairy-tale season. Everything just fell into place. It’s something I’ll treasure for the rest of my life.” With such a low chance of winning, a fairy-tale season is a proper description. 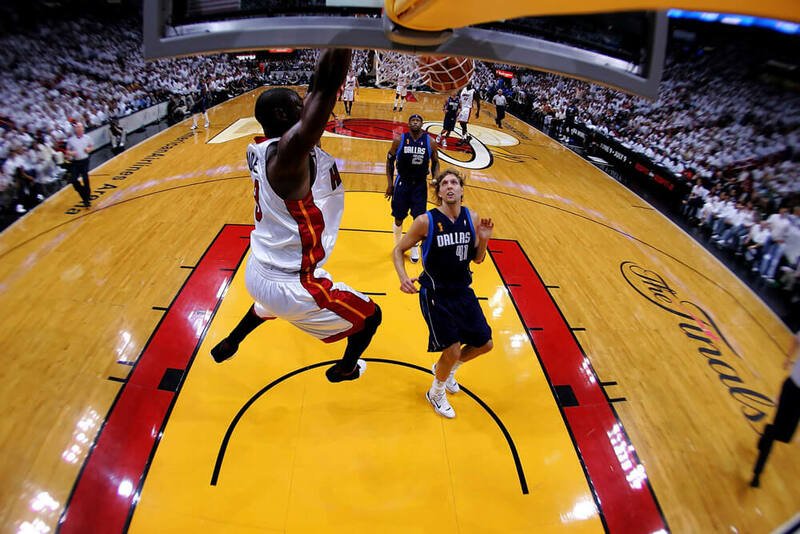 The 2013 NBA Finals provided a rush and gave many fans anxiety. Every game turned into a nail-biter and the stars left it all on the court. 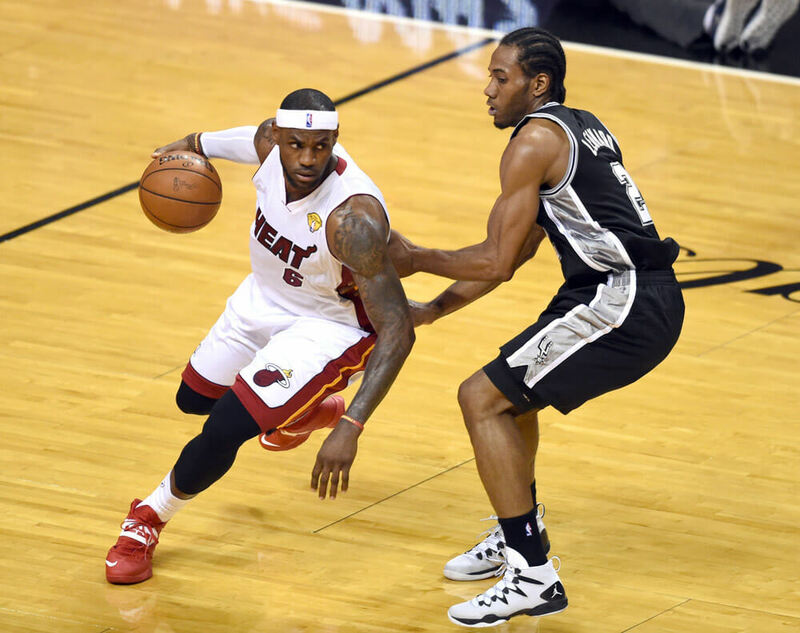 The Miami Heat and the San Antonio Spurs gave us a magnified look at the LeBron James and Kawhi Leonard matchup. In 1993, Charles Barkley felt that he was the best player alive. The only thing disputing that was the man wearing number 23 on the opposing team. Granted, Barkley had just won the MVP and had carried the Phoenix Suns to the Finals. But Michael Jordan and the Chicago Bulls weren’t having any of that. Barkley had a conversation with his daughter about game two. Barkley said, “I said, ‘Baby, your dad is the best basketball player in the world. I’m going to dominate the game tonight.’ And I remember… I think I had like 46, 47. I played great. And Michael had 52. 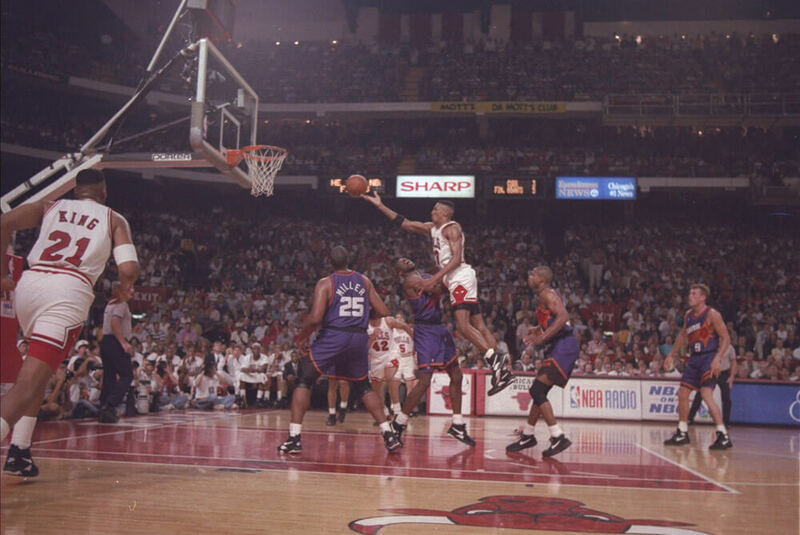 Jordan averaged 41 points per game (PPG) this series and captured his third ring. In 2001, the Philadelphia 76ers went up against the Los Angeles Lakers. The Lakers won the championship in 2000 and were poised to repeat, but this year had a different vibe to it. The 76ers had the reigning MVP in Allen Iverson running their team. 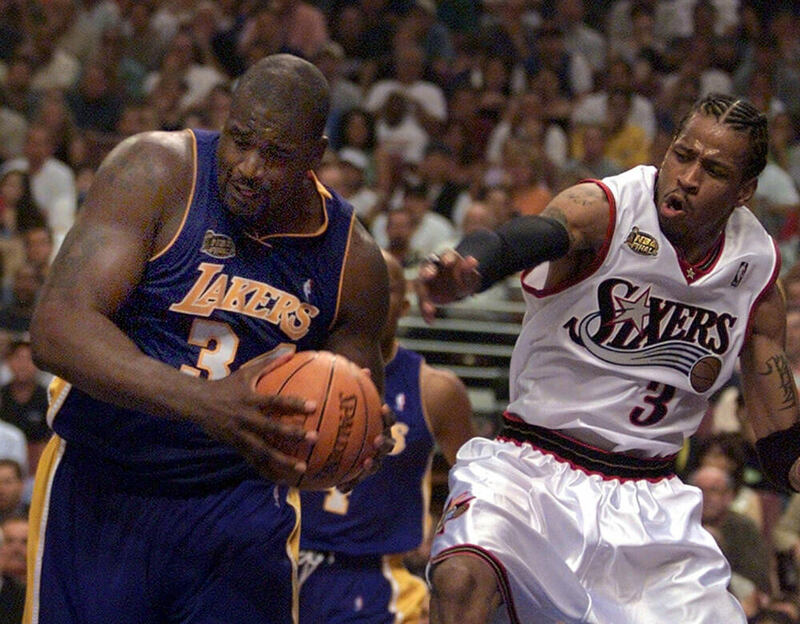 Kobe Bryant and Shaquille O’Neal were up to the challenge, but couldn’t contain Iverson (35.6 PPG). Unfortunately, Iverson’s MVP season came crashing to an end in only five games. That would be the first and last time Iverson appeared in the Finals. See why LeBron James will always remember this next matchup. The 2012 season was shortened thanks to the NBA lockout, but the Finals matchup made up for it. 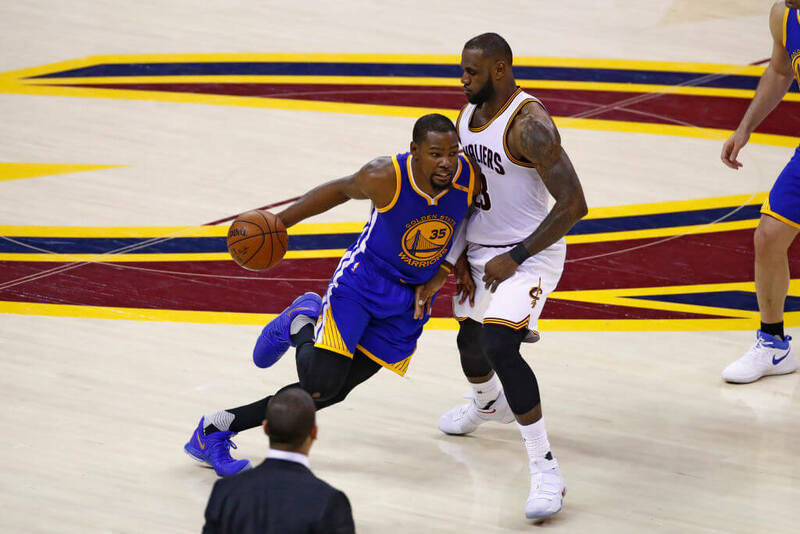 This matchup was the first year that fans got to witness LeBron James and Kevin Durant go toe-to-toe on the biggest stage possible. It was also the year James earned his first championship. James averaged a monstrous 28 PPG with his partner-in-crime Dwayne Wade not far behind, with 22 for himself. This Finals series was also the last time fans had the opportunity to see the trio of Durant (30.6 PPG), Russell Westbrook (27 PPG), and James Harden (12.4 PPG) play on the same team. We know how iconic the Larry Bird and Magic Johnson rivalry is. 1984 was the first time the two faced each other in the Finals. 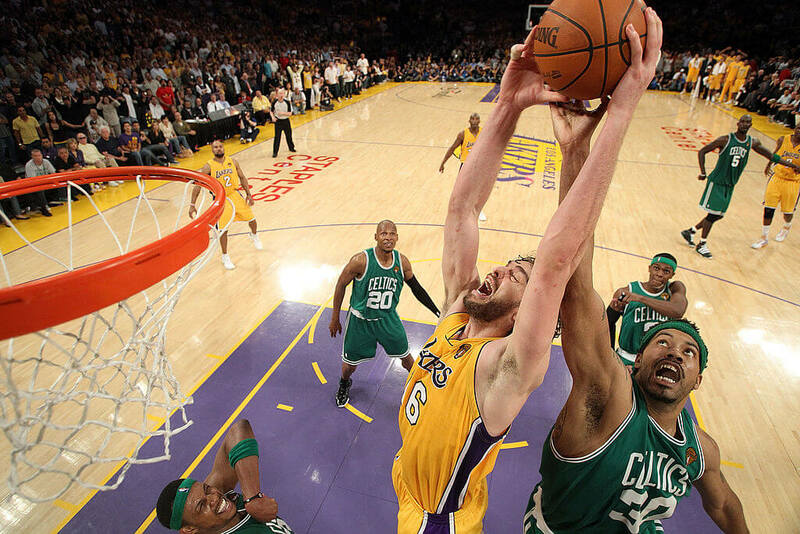 The Lakers and Celtics franchises also have a formidable feud, and this series showcased why. This was a seven-game series that saw a player receive a WWE-worthy clothesline. Bird was nothing short of sensational with averages of 27.4 PPG, 14 rebounds per game (RPG), and 3.6 assists per game (APG). 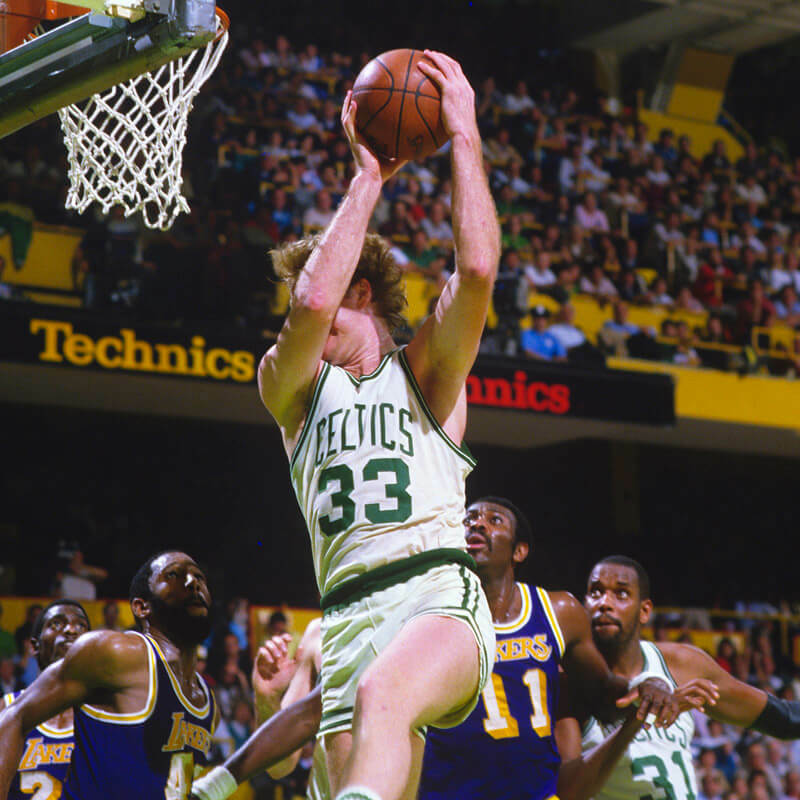 This matchup helped the NBA grow in popularity thanks to Bird and Magic’s competition. 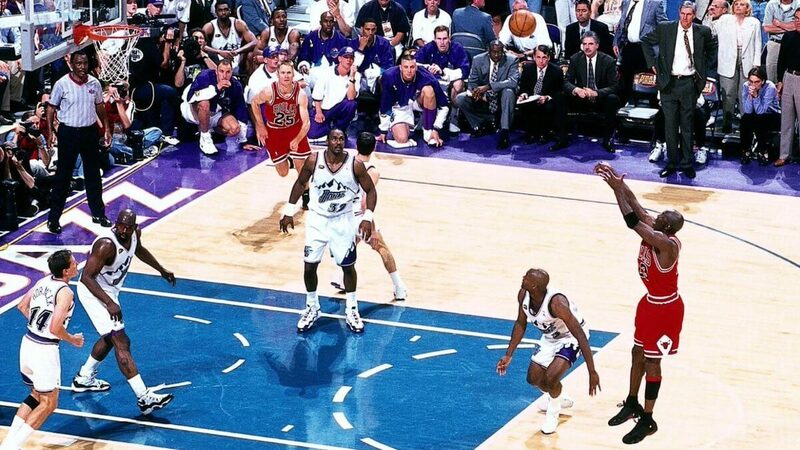 The 1998 Finals were the last time fans got to enjoy the greatness of Michael Jordan. The Bulls dropped game one against the Utah Jazz but recovered by winning three straight, including the biggest blowout in Finals history (96-54). After the Jazz bounced back from that lousy performance and won the next game, Jordan put the series to rest. Jordan put up 45 points in his last performance for the Chicago Bulls. And what better way to earn his sixth ring than by hitting the game winner? This is one of the reasons why people call him the G.O.A.T. Did the Cavaliers do the impossible? Find out next. In 2016, LeBron James and Kyrie Irving pulled off the improbable. Thirty-two teams in NBA history have tried to pull off a 3-1 comeback, but they all have failed. The Cavaliers were the 33rd team to attempt, and they succeeded. James nearly averaged a triple-double, and Irving played lights out. We also saw James make a clutch block at the end of game seven which helped seal the victory. This Finals also bolstered one of the most excellent point guard matchups in modern history. The 1980 Finals matchup saw the start of a reign that would last for years. This is the series where Julius Erving performed one of the most magical reverse layups ever in game four. Kareem Abdul-Jabbar averaged 33.4 PPG but had to sit out game six, thanks to an injury. 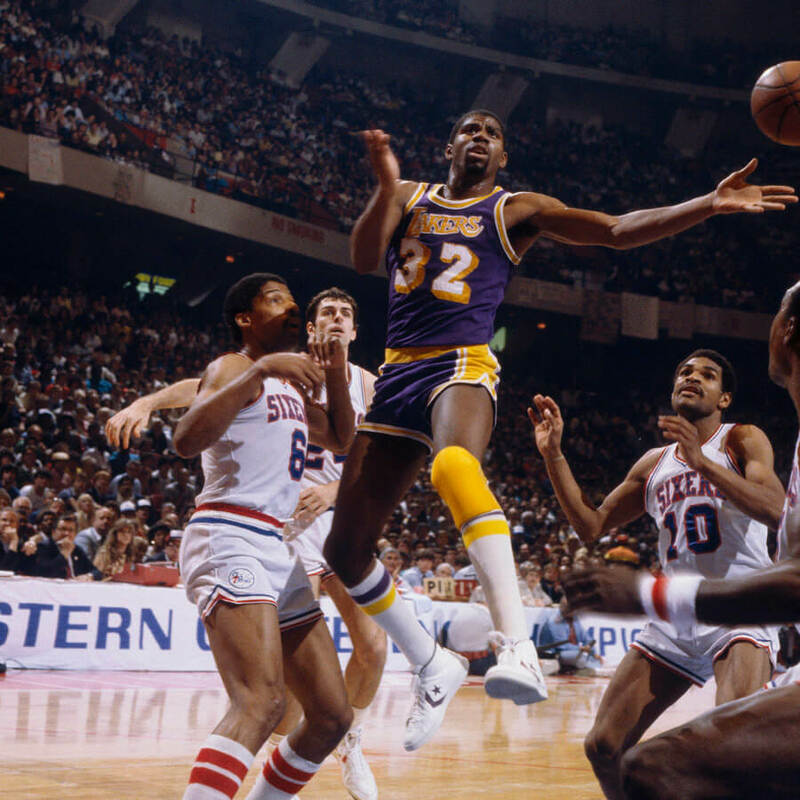 His absence allowed a then-rookie Magic Johnson to step into the limelight. He played every position and notched 42 points, 15 rebounds, and seven assists. While leading his team to victory, Johnson’s decade-long dominance commenced. The 2010 Finals brought back some fond memories for fans of basketball. 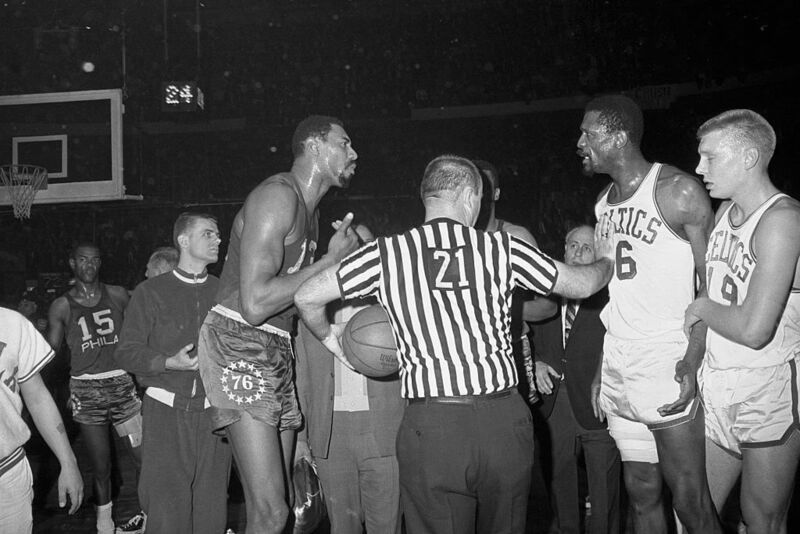 Two years before this matchup, the Boston Celtics canceled out the Lakers’ dreams. But this year ended differently. The decades-old rivalry was renewed, and the players were ready for war. The series lasted all seven games, with game seven proving to be the most nerve-wracking. Bryant had a less-than-stellar performance and an unlikely hero, Metta World Peace, stepped up and helped big time. Every Celtic scored in the double digits, but it wasn’t enough to save them. 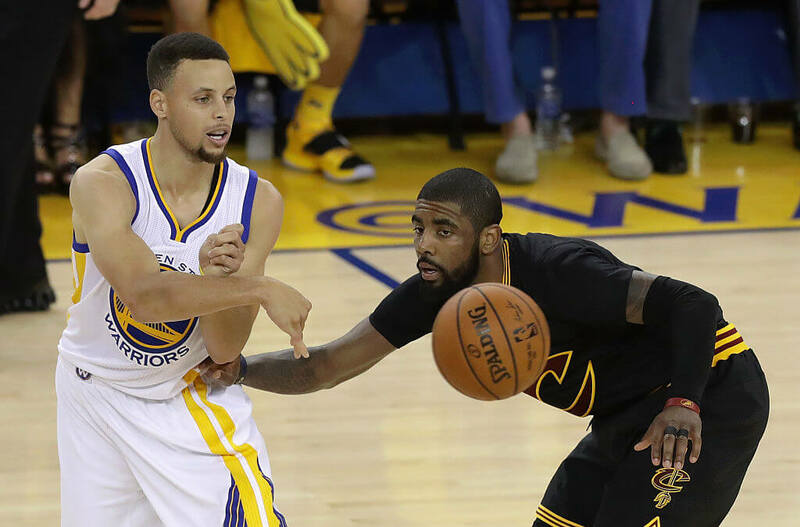 Steph Curry and Kyrie Irving provided NBA fans with thrill after thrill in 2016. These guards put on a show all seven games, right up until the last clutch three in game seven. Curry had recently become the first player to win a unanimous MVP award in the NBA. Irving had to bring his A-game to this match. Irving outscored Curry in nearly every game and averaged more for the series (27.1 PPG and 22.6 PPG respectively). Irving hit the most clutch shots in NBA Finals history to seal the championship for the Cavaliers. More of the best matchups are still to come, including Jordan, James, and Bryant. Magic Johnson ran into a lot of worthy opponents in the Finals. 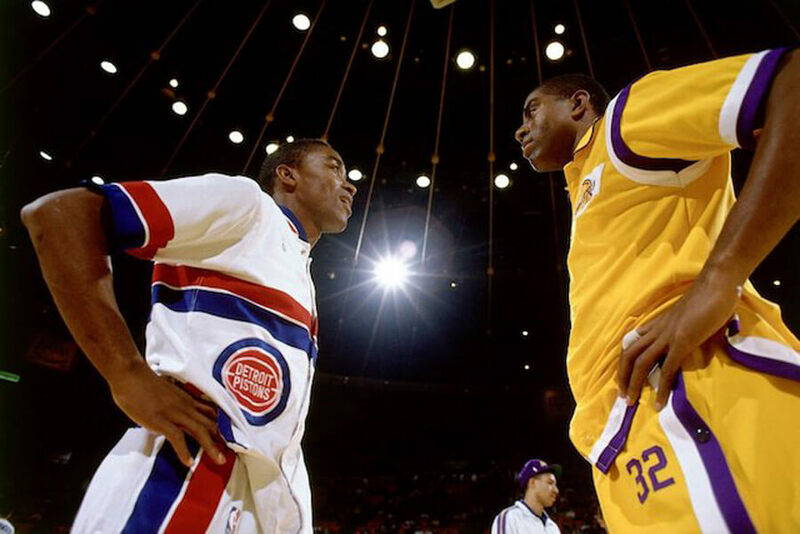 His most exciting matchup was in 1988 when the Lakers met Detroit Pistons and Isiah Thomas. If it weren’t for Johnson, Thomas would have easily been the best point guard in the NBA. These guys suffered through the series. Johnson had the flu for two games, and Thomas played with a severely sprained ankle. Still, Thomas managed to put up 43 points in game six. It wasn’t enough to keep their championship hopes alive, however. Johnson averaged 21 PPG and 13 APG. LeBron James and Kevin Durant are two of the best basketball players in the world. After Durant jumped ship in Oklahoma City, he immediately found himself in the Finals going up against James again. In his hopes to achieve his first ring, Durant showed little mercy to his opponents. That doesn’t mean James didn’t show out as well. He gave the Warriors problem after problem while averaging a triple-double. He is the first player to do that in history, but it wasn’t enough for Durant’s 33.6 PPG and his fearless three-point shooting. The 1992 NBA Finals pitted the best two shooting guards against each other. 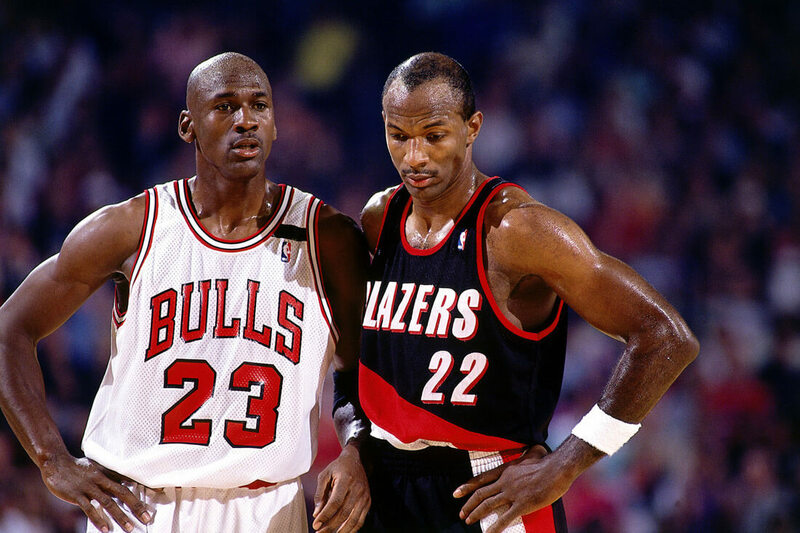 Clyde Drexler led his team to a tasty matchup against the mighty Chicago Bulls and Michael Jordan. We knew this matchup would be legendary after Jordan made six three-pointers in the first half of game one and giving his classic “Jordan shrug” afterward. Drexler brought his best game as well. He averaged the most points for the Blazers, but his teammates failed to help much. The Bulls went on to win in six games. Jordan and Drexler certainly gave the fans a show. The 2006 NBA Finals looked like an inevitable victory for the Dirk Nowitzki-led Dallas Mavericks. After starting the series off with a commanding 2-0 lead, Dwayne Wade and the Miami Heat woke up. Wade, a third-year player, showed us why we should never give up. Wade poured in 42 points in game three and never took his foot off the gas after that. Nowitzki wasn’t anything to scoff at either, averaging a double-double for the series with 22.8 PPG and 10.8 RBG. The Mavericks never won another game in the series, and Wade cemented himself as a force in the NBA for years to come. What happens when two unstoppable forces collide? You get a LeBron James and Kawhi Leonard Finals matchup. They squared off two years in a row, but the 2014 matchup is the one we’re focusing on. The Miami Heat had just beat the San Antonio Spurs the year prior, and Leonard wanted revenge. The series only lasted five games of seven and James and Leonard led in scoring throughout the series. If his title wasn’t official before, this is the series that officially made Leonard the “LeBron stopper.” Leonard single-handedly sucked James’ effectiveness right away from him. Bill Russell has the most rings in NBA history. Wilt Chamberlain scored the most points in a game ever with 100. These two battled each other for almost a decade. Their 1969 Finals matchup was the best. You can add this to the long list of Lakers-Celtics Finals matchups, and as always, the game didn’t disappoint. Russell and Chamberlain traded blows in a series that went all seven games. Russell’s ability to slow down Chamberlain did not go unnoticed. 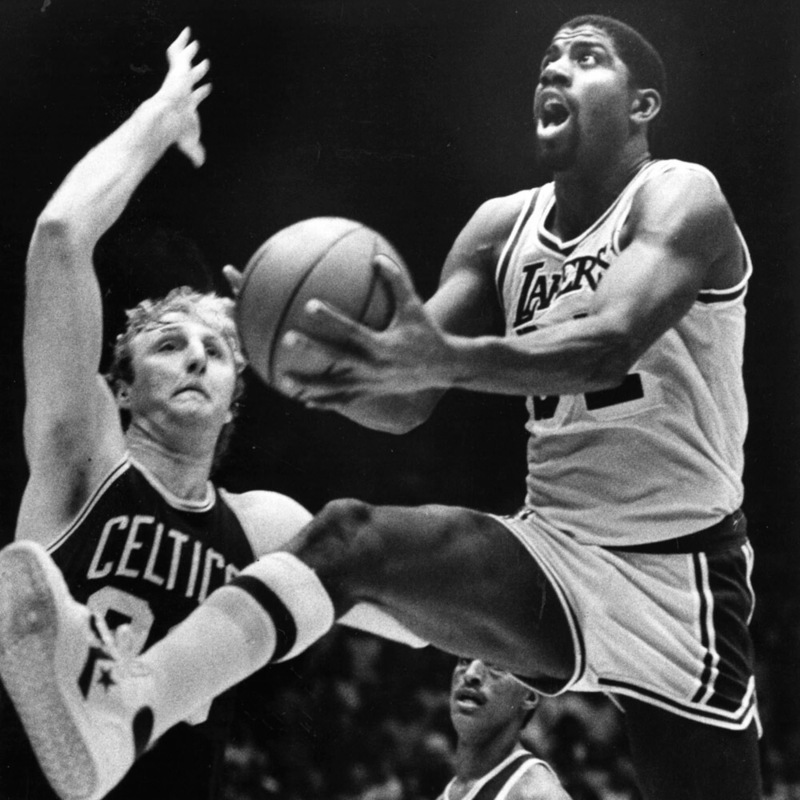 The rivalry between Magic Johnson and Larry Bird began while they attended college. Johnson’s Michigan State Spartans beat Bird’s Indiana State Sycamores in the 1979 National Championship, with a final score of 75-64. Fast forward five years and they competed for an NBA Championship. The series’ first four games went back and forth, with both teams winning two games each. Bird put on a show the following game, with 34 points and 17 rebounds. The series ended in a hot game seven. The air conditioning went out, and the gym was at 91 degrees. Boston had the home court advantage though, and the Celtics won 111-102. 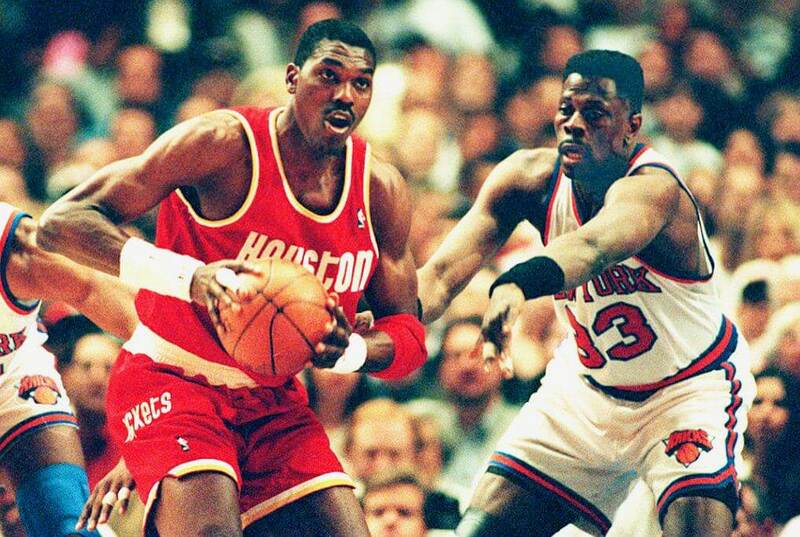 Both household names, Patrick Ewing and Hakeem Olajuwon squared off on the big stage in 1994. It was their chance to prove who was better. The New York Knicks earned a 3-2 series lead and had two chances to knock off the Houston Rockets. But Olajuwon would not fold that easily. The Rockets ended up winning back-to-back games and securing the championship. Olajuwon won the Finals MVP and averaged 26.9 PPG in the process. Ewing led the series in rebounds, with 12.4 per game. 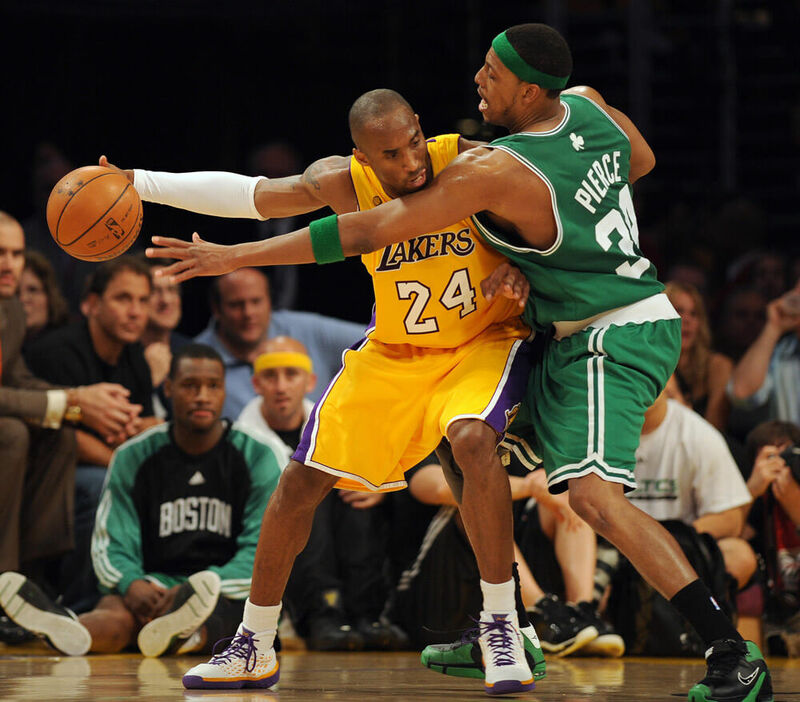 Kobe Bryant and Paul Pierce are two of the most significant competitors of their storied franchises. They faced each other two separate times in the NBA Finals. Pierce came out on top in their first meeting, but Bryant showed no mercy the second time around. Pierce averaged 21.8 ppg in the 2008 Finals, and Bryant averaged 28.6 PPG in 2010. 2008 was the first time Bryant carried a team to the Finals on his own. The Celtics had just assembled their big three, so that caused many problems for the Lakers and Bryant. In the end, these two split their Finals showdowns.